Need some spelling bee words and sentences in a hurry? Looking for quality spelling bee materials that are easy to use? You won't find simpler, more affordable tools than these eBooks! And the best news is, they're available for immediate download! 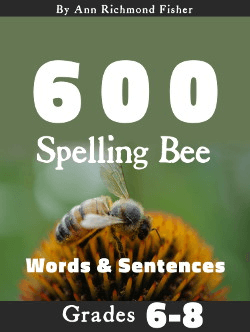 I've personally selected 600 bee words for grades 3-5 and another 600 spelling bee words for grades 6-8. The words are arranged from easiest to most difficult. To make the words really easy to use, I've written a brief, age-appropriate, classroom-friendly sentence for each spelling word! BIG time saver for Spelling Bee Organizers! Download several sample pages from the 600 Words and Sentences eBooks by clicking on the grade levels below. Use these sample pages to help you select the best level of materials for your situation. If you require a more complete resource with rules, organizational charts, student worksheets, parent letter and LOTS of award certificates, please consider The Spelling Bee Toolbox TM for Grades 3-5 and Grades 6-8. 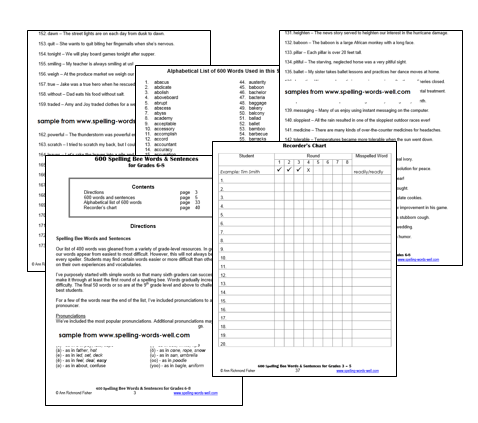 Do you already have the Spelling Bee Toolbox? If so, that's great! These lists of 600 Words & Sentences contain entirely different sets of words, making this the perfect supplement for future competitions. Select the grade levels you need here for permission to use these lists in a single school. Select your system-wide spelling bee word lists here. Still not sure which one is right for you? No problem! Contact me and Ill help you figure it out. Note: The prices shown are for the downloadable PDF eBooks only. The books are currently not available in hard copy. 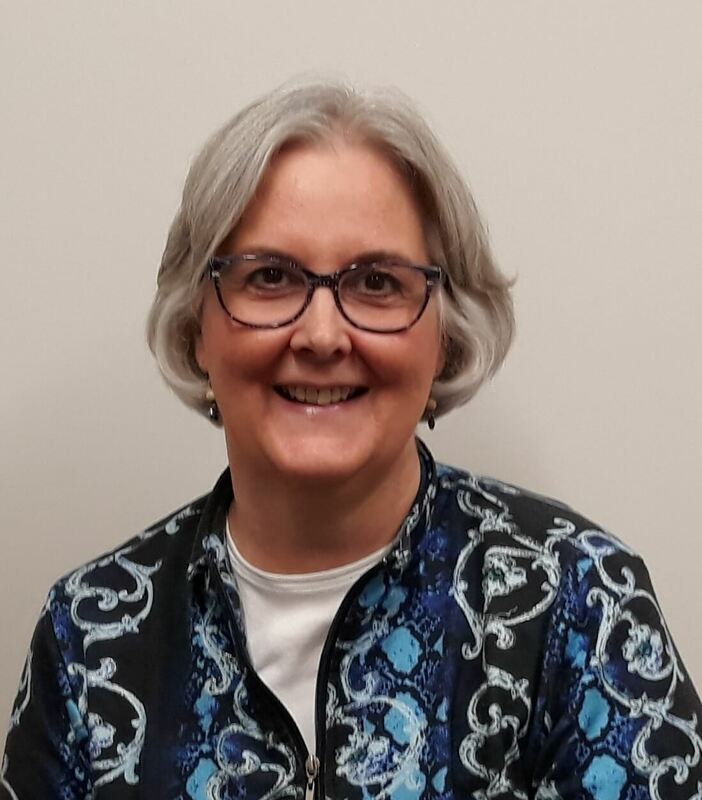 I'm Ann Richmond Fisher, longtime educational author and owner of www.Spelling-Words-Well.com and www.Word-Game-World.com.